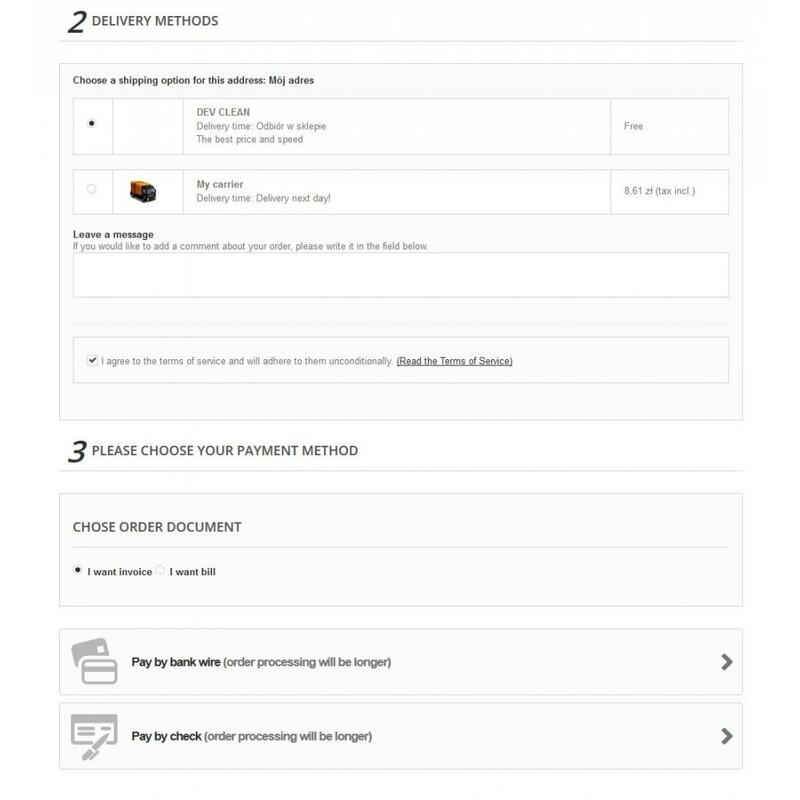 Module allows to choose by cutomer what kind of sale document he wants when placing order in Your store, there is suport for personal invoice / company invoice and bill, there are 3 different hooks / placements for form. 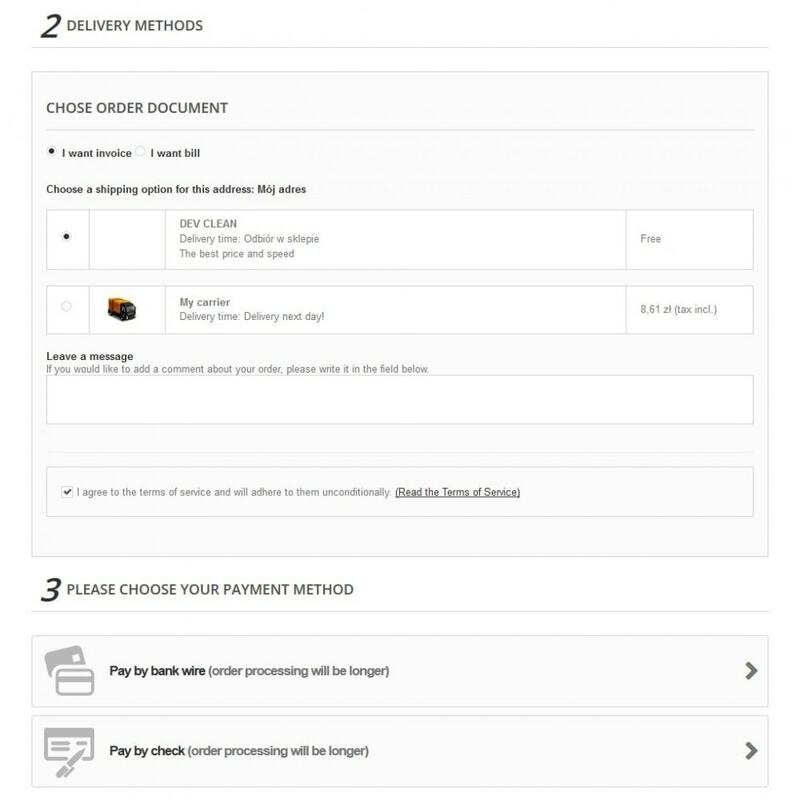 Clearly know when to issue invoice and bill as a sale document confirming customer orders, no more call and question what document customer wants. 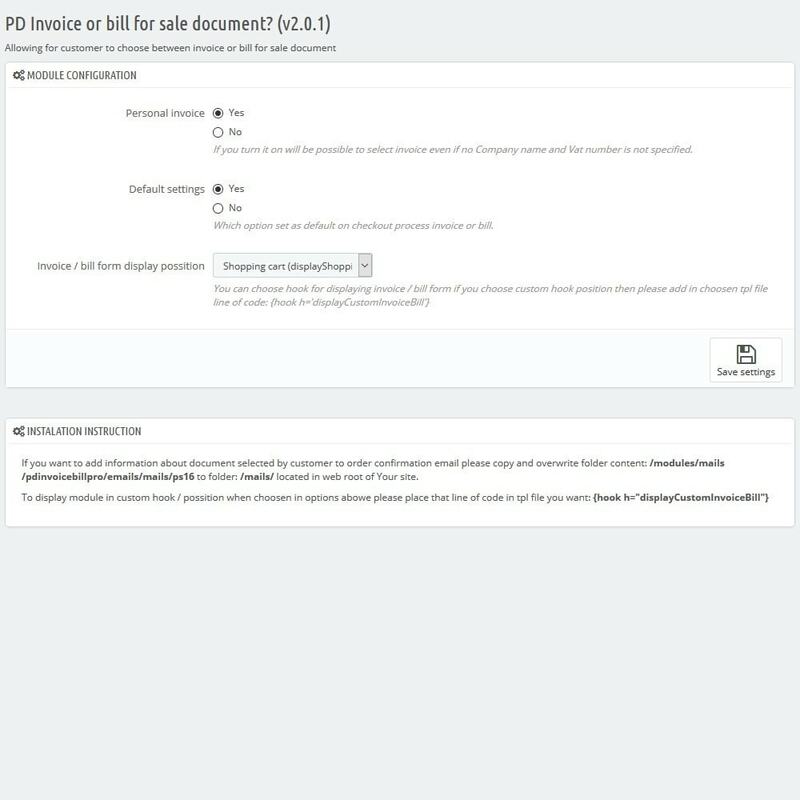 This module allows you to add the mandatory PEC and Code SDI fields for electronic invoicing in the customer address and in the back office area.